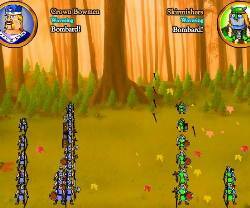 A tower defense game with role playing elements that is set in a fantasy world. 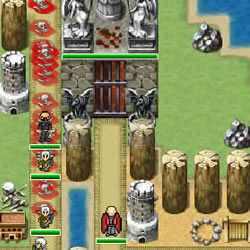 Control your hero and create monsters and demons to defend your base from the invading hordes. Use the MOUSE and LEFT MOUSE BUTTON to build, select, and upgrade towers and to select levels and perform upgrades from the world map. 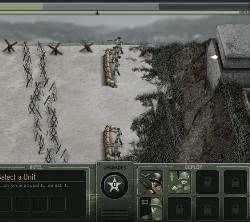 Use the ARROW keys to move your hero and to move the world map. 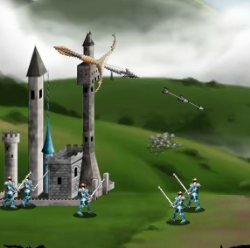 Press the ESC key to cancel building a tower, to exit from a battle, and to open the options panel from the world map. Click here to send Demonic Guardians to your friends using your default email program.